Ramp tales: stories told by old pilots. Some tales are of questionable veracity. I used to fly. Not a lot but it was an item on my bucket list. One item that I finally accomplished in my fifties. Although I was an Air Force veteran, I didn’t learn to fly until long after I was out. My flight instructor was Charley Craig, a 30,000+ CFI based at the Gardner KS Municipal Airport—K34 on the Kansas Sectional. Gardner is a small airport; not much different from many small town airports. It has the usual string of T-hangers, a small FBO for dispensing gas, cokes and the often needed restroom, and a small job A&E shop. Charley, Ellen (Charlie’s wife), his sons and daughters ran the FBO and a flight school. Charley was my CFI or Certified Flight Instructor. 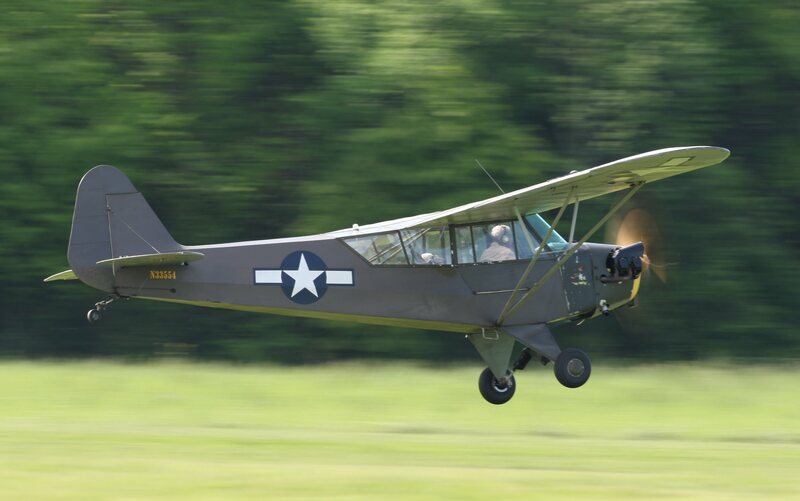 During this period I used to spend my Saturdays flying with Charley or hanging out with an assortment of Ramp Rats, most of whom were former WWII and later military pilots. Whenever pilots gather, Ramp Tales are told. Frankly, I’ve forgotten most of them, but I did acquire a few of my own. One of the Ramp Rats was a former WW2 pilot, Billybob. I don’t actually remember his name, but Billybob seems appropriate. Billybob was a US Army Artillery spotter. He flew a J-2/J-3 olive green Piper Cub over most of Italy and other parts of Europe. Billybob lived somewhere near the KS/MO state line and owned an Air Coupe, a single-engine, all aluminum, twin-rudder, two-seat small plane popular after World War II. Billybog kept his Air Couple stashed at a private field that had no services. Whenever he needed fuel…or groceries for that matter, Billybob would fly in to Gardner, top off his Air Couple and beg a ride into town to buy whatever he needed. Usually there was always someone around who would chauffeur Billybob around. I did myself a time or two. Billybob loved his Air Coupe. It was highly polished bare aluminum. Billybob had no radio in his Air Couple. If he did, he never used it as far as I know. The first inkling that Billybob was on his way in was seeing a shiny spec entering the pattern for a landing. Another Ramp Rat told me that at one time, Billybob had painted his Air Coupe a bight canary yellow. A color also known as Piper Cub Yellow. The story told by that Ramp Rat is why Billybob stripped the paint off his plane leaving nothing but bare aluminum. Pilots and Ramp Rats in particular have a weird sense of humor. Unusual because most of their humor is expressed in practical jokes. Those jokes tend to be more mental than physical. No pilot would interfere with the safe operation and flight of an aircraft. Just about anything else, however was fair game. One of the favorite excuses of weekend pilots to fly is to fly to fly-ins. Billybob, like many pilots, loved to show off his plane. He would go to a fly-in, park and display his Air Coupe with a placard mounted inside its bubble canopy giving all the Air Coupe’s specifications and history. A bright yellow airplane drew the attention at fly-ins like honey draws bees. 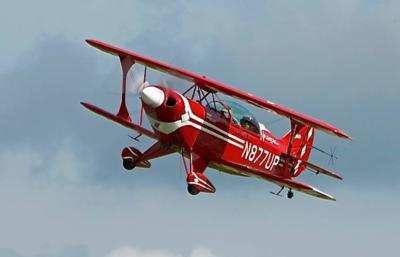 Garner, K34, has an annual fly-in sponsored by a local EAA chapter. When fly-in time arrived, Billybob and his bright yellow Air Coupe would arrive without fail. A number of the local Ramp Rats began to call the yellow airplane, Tweety, after the yellow cartoon character. One year, a Ramp Rat replaced Billybob’s placard with another one that contained, along with a more humorous description of the Air Coupe, a large cartoon—Tweety. That new placard drew all the kids and it wasn’t long before Billybob’s Air Coupe was surrounded with kids, some of whom asked for rides in Tweety. Billybob was a bachelor. He’d never been married to anyone’s knowledge and had few, if any, relatives. Kids terrified him. At first he would discard the new placard and politely refuse the requests for rides. A number of Ramp Rats entered into a conspiracy. They would follow Billybob to fly-ins and, when Billybob wasn’t looking, switch his placard with a Tweety placard. Billybob became known as Tweety on the Fly-in and Airshow circuit. At first, Billybob took it all in grudging good humor. That is until a Ramp Rat took the joke one step further. At one airshow, a small local thunderstorm passed through. Everyone headed for the FBO and hangers to get out of the rain. While everyone was distracted, one enterprising Ramp Rat scotch-taped the name, Tweety, in foot-high letters on the fuselage and wing of Billybob’s Air Coupe. Thereafter, whenever Billybob came to an air show or fly-in, someone announced over the unicom, “Tweety arriving!” If a PA system was available, the name was announced over that as well. It was the last straw. The next time Billybob was seen, his Air Coupe had been stripped of all paint except for his registration number. Instead of the bright yellow paint, the Air Coupe was bright, polished aluminum. Tweety was gone, but not the name. I was told this story one day when I was hanging out at Gardner. I had been up with Charley Craig practicing timed turns. It was hot and I was cooling off under the shaded porch of the FBO with a Coke and a small scanner at my side that I used for eavesdroping on the local unicom. I noticed a bright spec low on the horizon and over the unicom came the call, “Tweety arriving!” A Ramp Rat standing nearby saw my surprise and told me the story. In another sense, the call was a safety warning. The pattern height for Gardner was 1000′. Billybob, perhaps due to his wartime experience as an artillery spotter, had an aversion to flying at altitude. He preferred to fly lower, much lower, as low as was legally allowed for the location. At times, he ignored the minimum height rules when entering the pattern. That could cause problems. However, Billybob, was well liked, given his eccentricities. The local pilots knew his habits and kept an eye out for him. As long as he didn’t cause problems with transient pilots, no one called him on his practices. Billybob is gone now. His Air Coupe was sold along with the rest of his estate. There’s nothing left except the echo of an announcement over the unicom, “Tweety arriving” in remembrance of Billybob and his bright yellow Air Coupe, Tweety. My neighbor is in pain today. He lost a close friend over the weekend. A pilot lost his life Saturday in a crash at an airshow in Cameron, MO. My neighbor was present when the crash occurred. There is no known cause, at this time, for the crash. The accident was reported by the Aero News Network. ANN regrets to report that airshow pilot Steve O’Berg has reportedly perished in an accident while conducting an airshow routine at the Cameron Airshow, Saturday afternoon, in Cameron, MO. The Red and White Pitts S2-B apparently failed to complete a descending maneuver sequence and impacted the ground, amid trees, under circumstances yet to be properly documented. Despite what was reported to be a fairly swift med-evac from the site, O’Berg perished from his injuries. O’Berg had an impressive background. His bio notes that, “His military career in the Army spanned 23 years until his retirement in 2007. While in the Army he flew OH-58’s, UH-1’s, UH-60 BlackHawks, C-12 King Air 200, and the C-23 Shorts-330. He retired with over 4,000 hours of military flight time including over 400 combat hours flying in Iraq. The Kansas City news community sent their 6th Jr. Varsity reporting string to cover the crash. As expected, they butchered the story. You would expect reporters who claim to have some professionalism to do a least a smidgen of research before writing their story. But this is the 21st Century and sensationalism is first, research and accuracy as far, far lower place in their reporting. Their professionalism was non-existant. The text below is a prime example. The article went to say little of consequence, but did describe O’Berg’s professional, FAA/ICAS/ACE approved/monitored airshow routine and performance, as ‘doing dives and flips in front of the crowds’ and adding a statement that the aircraft, ‘attempted to do a corkscrew maneuver near the runway.’ — ANN. Folks… as I noted in comments attached to the poorly detailed and conducted story referenced above, the Pitts was not doing ‘stunts’ — the aircraft and its pilot were doing carefully planned, rehearsed, and approved precision aerobatic maneuvers. The pilot was a professional who received extensive scrutiny from his peers, ICAS (via its ACE program) and the FAA. The airplane did not do ‘dives and flips’ — it did a series of planned precision aerobatic maneuvers according to an approved airshow sequence that was practiced again and again before being performed at an actual airshow. This was a good pilot, a professional/qualified airshow pilot, that had a tragic accident, and deserved the respect of a journalist — at least someone doing more than 30 seconds worth of research, in accurately relating the tale of a horrible tragedy. If a so-called journalist is not up to checking the facts and respectfully detailing what’s known at this time, then he or she should please pass the story off to someone who will ask the right questions, learn the proper details, and (ultimately) respect the passing of a man who tried to share his love for aviation with the public. — ANN. Whenever you see an aerobatic pilot exhibiting his skill, understand that every move is carefully choreographed, carefully planned, and extensively practiced. It is a exhibition of a lifetime of accumulated skill. Blue skies, Steve O’Berg. I didn’t know you but I’ve known many like you. Farewell.